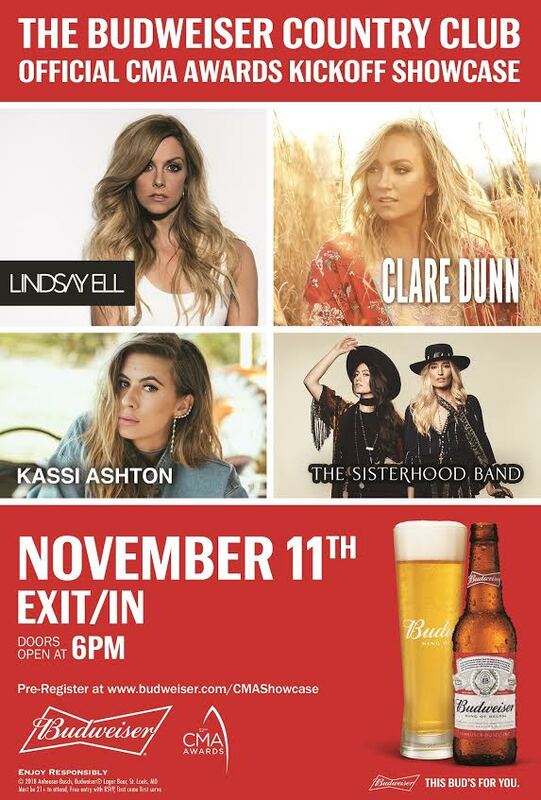 Budweiser will sponsor the CMA Awards for the third consecutive year, and is set to host a special “Country Club” showcase on Nov. 11 at Exit/In in Nashville. The showcase will honor an all-female lineup, including The Sisterhood Band, Kassi Ashton, Clare Dunn, and Lindsay Ell. The show will begin at 6 p.m. The Budweiser Country Club is a fan-enhancing experience at the largest country music festivals and events in the country featuring Budweiser products, photo opportunities, a dance floor, games as well as a variety of premium giveaways. The Budweiser Country Club is open to the public via RSVP, at budweiser.com.